Cristian Arango AKA "Locombia" was born in Pereira, Colombia. At the early age of 12, he became the youngest dj performer to play in the plazas of Colombia. He quickly became a favorite for local Colombian Music lovers both young and old. . In 2006, the legacy began with the creation of the label “Fly Records”. "Locombia" made his first major appearance to the Electronic Dance World in 2008 as a Headliner at the world renown Pacha NYC Mega club at Pachita "Made in Colombia vs Made in Brazil" party. 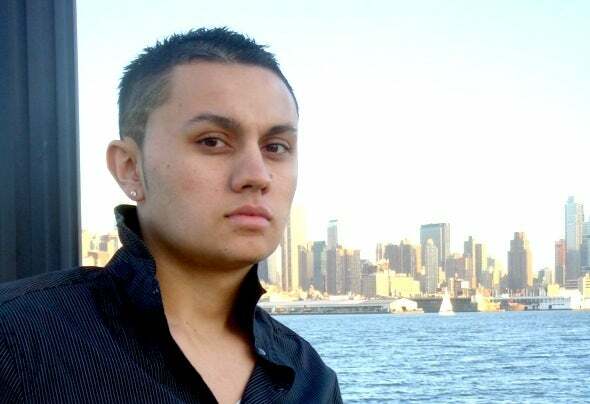 In 2009, Cristian Arango’s career took off with performances headlining venues such as the elite Pink Elephant, M2, Pacha NYC, Love and many other Club in the United States. He was extended a residency with Area Event in 2009, after a 6 hours set to 5,000 people on NYE at M2 in NYC playing along with DJ Boris, 2010 was nothing but magic for Cristian Arango "Locombia" party. He has collaborated in performances with The Martinez Brothers, Steve Angello & Size Records ,Victor Calderone. dj Boris, Deadmau5, Calvin Harris, Christian Smith, Mastiksoul, Funkagenda & Afrojack just to name a few. Playing the notorious "Wet Republic" in Las Vegas with Dj Boris. Opening for Deadmau5 at "Harrah's" pool in Atlantic City and his biggest accomplishment to date NYE 2011 playing at the legendary "Roseland Ballroom" in NYC with Victor Calderone and Steve Angello. Cristian Arango "Locombia" has become a globally recognized household name as heavy hitter in the dance world along with his label "Fly Records". 2011, has been strong with performances including The WMC in Miami “The Surfcomber Pool Parties”, MDW at "Harrah's" pool in Atlantic City with Calvin Harris & Victor Calderone, and 4of July with Boris, Mind Control just to name a few. The future of Cristian Arango "Locombia" as an artist and performer the potential is exponential. His name on the Big Stage has only started and with his exclusive style of music and established presence as a top producer on his label and remixes on other labels to be seen; we cannot wait to see what the future holds for "Locombia". Just listen, learn and follow!